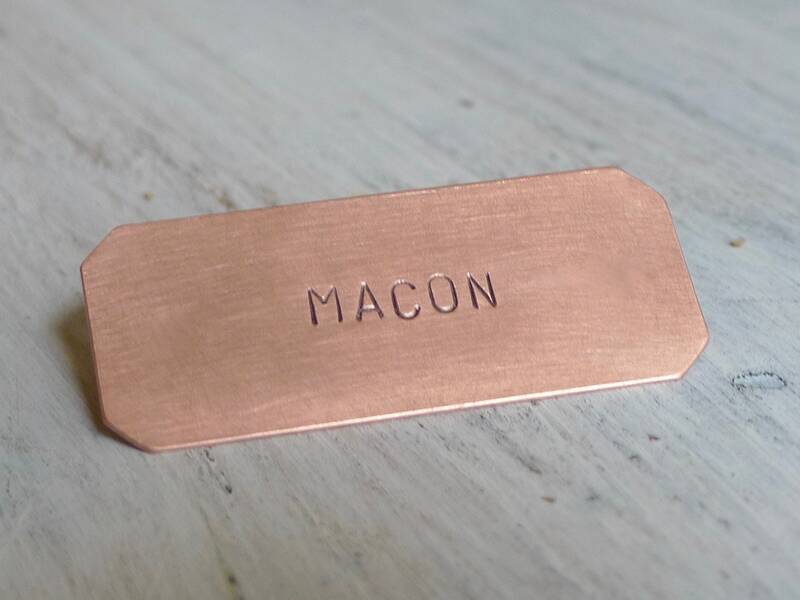 Small hand-stamped copper nameplate with short text on one line. Please read all instructions below before purchasing. Custom orders welcome. 👉Include your text in the notes to seller. Review your text carefully before submitting your order. There are no refunds on personalized items unless a mistake was made by the seller. 👉Other options available. Please see the shop main page for other listings or contact me for a custom order.